love Rachel, Amin, SVG, and Windhorst, but Paul Pierce is awful. Rachel Nichols, Nick Friedell, and Amin Elhassan discuss if the Warriors are more vulnerable than ever right now. Basketball photographer Cassy Athena also joins the show. Rachel Nichols, Paul Pierce and Amin Elhassan discuss Damian Lillard's epic game-winner, how dangerous the Blazers are and much more. Rachel Nichols, Amin Elhassan, and Byron Scott discuss if Portland can close out OKC in game 5. David Fizdale and Kirk Goldsberry also join the show. Rachel Nichols, Scottie Pippen, and Brian Windhorst discuss Kyrie's performance in game 2, if the Jazz need to change their strategy defending Harden, and more. Rachel Nichols, Tracy McGrady, and Brian Windhorst discuss if Jamal Murray saved Denver's season, Kyle Lowry's bounce-back game, and more. Rachel Nichols is joined by Landry Shamet on set. Rachel, Tracy McGrady, and Brian Windhorst discuss the Clippers stunning victory. Kendrick Perkins also joins the show. Jorge Sedano, Stan Van Gundy, Amin Elhassan, and Richard Jefferson preview the upcoming NBA playoffs. Jorge Sedano, Stan Van Gundy, Richard Jefferson, and Amin Elhassan discuss the Kings firing Dave Joerger, playoff seeding, if LeBron regrets signing with Lakers, and more. Rachel Nichols, Ramona Shelburne, Michael Wilbon, and Amin Elhassan discuss Magic Johnson stepping down. Plus, Rachel goes 1-on-1 with Magic after his stunning announcement. Rachel Nichols, Ramona Shelburne, and Amin Elhassan discuss what the Lakers need from a head coach next season and more. Rachel Nichols, Byron Scott, and Kevin Arnovitz discuss the playoff seedings shuffle, Kyle Korver's piece for Players' Tribune, and more. Rachel Nichols sits down with Dwyane Wade to talk about his retirement tour, finishing his career in Miami, and more. Plus, Gabrielle Union shares what movie made D-Wade cry. Rachel Nichols, Tracy McGrady, and Brian Windhorst discuss if the Rockets can win the west and more. Nick DePaula also joins the show. Rachel Nichols, Amin Elhassan, and Tracy McGrady discuss Russell Westbrook's triple-double, KD's ejection, and more. Brian Windhorst also joins the show. Amin Elhassan, Paul Pierce, and Byron Scott discuss the Wizards firing Ernie Grunfeld, if Giannis should sit out the remaining regular season games, and more. Jorge Sedano, Marc J. Spears, and Amin Elhassan discuss Boogie getting ejected, the NBA mourning Nipsey Hussle's death, Lakers shutting LeBron down, and more. Scottie Pippen and Michael Wilbon join Rachel Nichols talking legacy of Manu Ginobili, Giannis' injury, Rockets seeding, Jimmy Butler's return to Minnesota and more NBA news. Rachel Nichols, Stephen Jackson, and Brian Windhorst discuss Chris Bosh's jersey being retired by the Heat, Giannis vs Harden, and more. Damon Jones also joins the show. Rachel Nichols, Stephen Jackson, and Brian Windhorst discuss Nurkic's injury, where the Blazers go from here, and more. Jason Kidd also joins the show. Rachel Nichols, Scottie Pippen, and Brian Windhorst discuss the Hornets hot streak, Kyrie's comments about defending Kemba, and more. Jason Kidd also joins the show. Rachel Nichols, Richard Jefferson, & Tracy McGrady discuss the 76ers win over the Celtics, Marcus Smart's ejection, & more. Zach Lowe & Dave McMenamin also join the show. Rachel Nichols, Paul Pierce, and Tracy McGrady discuss the Nets comeback win and D'Angelo Russell's career year. Zach Lowe joins the show to talk Clippers and more. Rachel Nichols, Richard Jefferson, Paul Pierce, and Amin Elhassan decide which "show-within-a-show" is #1. Jay Williams stops by to breakdown the upcoming NCAA tournament. Rachel Nichols, Richard Jefferson, and Amin Elhassan discuss if the Clippers will be a matchup problem in the playoffs, if the Nets can take over NYC, and more. Jorge Sedano, Michael Wilbon, and Marc J. Spears discuss the Lakers' approach to roster building and more. Clippers guard Lou Williams also joins the show. Westbrook's confrontation with fan a tapping point? Amin Elhassan, Michael Wilbon, Marc J. Spears, discuss Russell Westbrook's heated exchange with a Jazz fan, and more. Tim Bontemps also joins the show. Amin Elhassan, Marc Spears and Kevin Arnovitz discuss if it's time to start worrying about the Warriors, if the Sixers have enough time to figure out their rotation and much more NBA news. Rachel Nichols, Scottie Pippen and Amin Elhassan discuss the ending to Thunder-Blazers, LeBron's minutes restriction and more. Plus, Jaylen Brown & Monty McCutchen join the show. Rachel Nichols, Amin Elhassan, and Stan Van Gundy discuss LeBron passing MJ, a weird night in Chicago, and more. Jon "Stugotz" Weiner and Dave McMenamin also join the show. Rachel Nichols, Amin Elhassan, and Brian Windhorst discuss the Celtics blowout win in Oakland, if it is time to come back onto the Celtics bandwagon, and more. Rachel Nichols, Paul Pierce, and Brian Windhorst discuss the Lakers loss against the Clippers, what the Lakers will do next, and more. Rachel Nichols, Brian Windhorst, and Byron Scott discuss the Lakers rough weekend, the Rockets shaping into form, and more. Rachel Nichols is live from the MIT Sloan Sports Analytics Conference and is joined by Paul Pierce, Michael Rubin, Daryl Morey, Zach Lowe, Jackie MacMullan, and more. Amin Elhassan, Marc J. Spears, and Chiney Ogwumike discuss if LeBron should go full throttle, D-Wade's winner, and more. Malcolm Brogdon also joins the show. Rachel Nichols, Tracy McGrady, and Amin Elhassan discuss if Boston can right the ship, which team is 2nd-best in the west, and more. Rachel Nichols, Paul Pierce, and Tracy McGrady discuss the Lakers skid, what the Lakers should do now, Harden's streak ending, and more. Rachel Nichols, Ramona Shelburne, Tim MacMahon discuss the Spurs losing to the Knicks, CP3's performance against the Warriors, and more. Rachel Nichols, Scottie Pippen and Brian Windhorst discuss a spicy night in the NBA, highlighted by James Harden and Chris Paul's frustrations with referee Scott Foster. Plus, what are the Lakers' playoff chances looking like? Rachel Nichols interviews Giannis about the MVP race, his path to the NBA, & more. Rachel, Tracy McGrady, and Brian Windhorst discuss LeBron, Zion's injury, & more. Rachel Nichols chats with Kyrie Irving about the Celtics, free agency rumors, & that phone call with LeBron. Rachel, Tracy McGrady, & Kevin Arnovitz talk AD, Celtics, & more. Rachel Nichols sits down with James Harden to talk scoring streak and the MVP race. Also, Tracy McGrady and Byron Scott join the show to talk Lakers and more. Rachel Nichols, Nick Friedell, and Chiney Ogwumike recap the All-Star Game, discuss if KD is the best player right now, and more. Rachel Nichols, Woj, Stephen Jackson, Rasheed Wallace and Scottie Pippen discuss the Pelicans' firing of Dell Demps. Also, Ben Simmons and Sue Bird stop by. Plus, an interview with Luka Doncic. Rachel Nichols is joined by Scottie Pippen, Stephen Jackson, Thibs, Jarrett Allen, Spencer Dinwiddie, Rasheed Wallace, Amin Elhassan, and Khris Middleton in Charlotte. Rachel Nichols, Amin Elhassan, and Tracy McGrady discuss the Lakers loss in Atlanta, if Luke Walton is on the hot seat, and more. Rachel Nichols, Paul Pierce, and Tracy McGrady discuss Harden and Westbrook extending their streaks, MJ's comments about stats and more. The Jump crew discusses how the Sixers are clicking after a big trade deadline, their game of telephone between the Lakers and Ben Simmons and other NBA news. Scottie Pippen and Brian Windhorst join Rachel Nichols breaking down the trade deadline, the ASG Draft, the risk of playing Anthony Davis this season and more NBA news. All of your favorite Jump analysts and insiders join Rachel Nichols covering the trade deadline as all the trades unfold! Rachel Nichols, Tracy McGrady, Amin Elhassan and Brian Windhorst discuss if Philadelphia is the front-runner to win the east, the Lakers blowout loss and more. Rachel Nichols sits down with Kobe Bryant and Tracy McGrady. Rachel, T-Mac, and Amin Elhassan discuss John Wall's injury, the AD saga, and more. Rachel Nichols, Paul Pierce, and Amin Elhassan discuss possible destinations for AD, Lakers locker room tension, and more. Rachel Nichols, Scottie Pippen, and Michael Wilbon discuss the Porzingis trade, Kyrie's comments from this morning, and more. Rachel Nichols, Tracy McGrady, Michael Wilbon and Ramona Shelburne react to the Kristaps Porzingis trade, Anthony Davis being left out of the Pelicans intro video and more. Jorge Sedano, Scottie Pippen, Tim Bontemps and Kevin Arnovitz discuss Anthony Davis getting fined by the NBA, Houston losing to New Orleans and more. Rachel Nichols, Tracy McGrady, and Amin Elhassan discuss the Anthony Davis saga, small market teams, and more. Clippers forward Danilo Gallinari also joins the show. Rachel Nichols, Amin Elhassan, Byron Scott and Dave McMenamin discuss Anthony Davis requesting a trade. Hawks players John Collins and Trae Young also join the show. Rachel Nichols, Scottie Pippen and Zach Lowe discuss who LeBron should take first in the All-star game draft, Jokic's 1-game suspension and more. Rachel Nichols, Stan Van Gundy, Tracy McGrady, Jackie MacMullan and Zach Lowe discuss Victor Oladipo's injury, Harden's 61 points at MSG and more. Tracy McGrady, Zach Lowe and Jackie MacMullan join Rachel Nichols talking about Westbrook's reinvention, Derrick Rose being better than ever, the Grizzlies' trade block and more. Rachel Nichols, Zach Lowe, Tracy McGrady and Jackie MacMullan discuss Embiid upsetting other players, Klay's performance on Monday and more. Rachel Nichols, Paul Pierce and Zach Lowe discuss which NBA team needs Zion Williamson more, Boogie's debut and more. Scottie Pippen, Quentin Richardson and Brian Windhorst join Rachel Nichols breaking down the Lakers win over the Thunder, 76ers playing an injured Joel Embiid and more news. Rachel goes one-on-one with Boogie Cousins. Rachel, Nick Friedell, Tracy McGrady, and Brian Windhorst discuss last night's Curry flurry, Kyrie's apology, and more. Rachel Nichols, Tracy McGrady and Brian Windhorst discuss the 76ers blowout against the Timberwolves and more. Woj also joins the show. Rachel Nichols, Tracy McGrady and Scottie Pippen discuss James Harden's scoring surge, Dallas looking to trade Dennis Smith Jr. and more. Jorge Sedano, Kevin Arnovitz, and Paul Pierce discuss the Lakers loss to the Cavs, Luka's shot to be an all-star this season, and more. Rachel Nichols, Scottie Pippen and Amin Elhassan discuss if the Spurs are still a force to be reckoned with, Westbrook's decision-making and more. Rachel Nichols, Paul Pierce and Amin Elhassan discuss if Giannis needs to develop an outside shot to win MVP, Kyle Kuzma's 41-point night against the Pistons and more. Amin Elhassan, Chiney Ogwumike and Byron Scott discuss Ryan Saunders debut as T-Wolves coach, Klay breaking out of a shooting slump, Boogie's return and more. Rachel Nichols, Chiney Ogwumike, and Richard Jefferson discuss if the Rockets need to make a move before the trade deadline. 2-time All-Star Kemba Walker also joins the show. Jorge Sedano, Marc J. Spears, and Chiney Ogwumike discuss Thibs being fired in Minnesota, Lakers struggles, and more. Rachel Nichols, Scottie Pippen and Amin Elhassan discuss James Harden's performance on Thursday and more. Rachel also sits down with Dirk Nowitzki. Rachel Nichols, Chauncey Billups and Amin Elhassan discuss Kawhi's return to San Antonio, Lakers fans booing Paul George and more. Rachel Nichols, Amin Elhassan and Byron Scott discuss what the 76ers biggest need is and more. Rachel Nichols, Amin Elhassan, Jorge Sedano and Marc J. Spears discuss LeBron's injury, the Lakers blowout win at Oracle and more. Rachel Nichols, Scottie Pippen, Nick Friedell, Amin Elhassan and Marc J. Spears preview the Christmas day games. Rachel Nichols, Byron Scott, and Brian Windhorst discuss CP3's injury, rival GMs being upset with LeBron, and more. Rachel Nichols, Tracy McGrady and Brian Windhorst discuss if Paul George can earn MVP votes and more. Plus, the debut of a new TV show within the show! Rachel Nichols, Brian Windhorst and Tracy McGrady discuss if the Lakers need to make a trade right now, Jokic's chances to win MVP and more. Rachel Nichols, Tracy McGrady, and Nick Friedell discuss which direction the Bulls are headed in and more. Rachel Nichols, Kevin Arnovitz, and Marc J. Spears discuss Trevor Ariza being traded to DC, the proposed Brooks trade Friday night, LeBron & Lonzo's triple-doubles, and more. Rachel Nichols, Stan Van Gundy and Amin Elhassan discuss how the Pelicans can keep AD and more. Mike Schmitz and Hall of famer Dikembe Mutombo also join the show. Tracy McGrady, Amin Elhassan join Rachel Nichols to discuss the possibility of the Clippers landing Kevin Durant and/or Kawhi Leonard, end of Pop's coaching career and more. Rachel Nichols, Dave McMenamin, and Tracy McGrady discuss the LeBron vs Wade finale, if T-Mac could beat Prime KD, and more. Derek Fisher also joins the show. Rachel Nichols, Ramona Shelburne and Marc J. Spears discuss the legacy of LeBron-Wade duo, Draymond's return and more. Rachel Nichols, Scottie Pippen and Brian Windhorst discuss Houston's struggles, Gobert's early exit and more. Rachel Nichols, Paul Pierce and Brian Windhorst discuss OKC's comeback win in Brooklyn last night and more. Rachel Nichols, Zach Lowe and Tracy McGrady are live in Toronto. Rachel sits down with Kyle Lowry. Chris Bosh and Masai Ujiri also join the show. Jorge Sedano, Paul Pierce and Amin Elhassan discuss CP3's confidence in the Rockets, if Denver is the 2nd best team out West and more. Jorge Sedano, Dave McMenamin and Amin Elhassan discuss the Bulls firing Fred Hoiberg, where the Bulls go from here and more. Rachel Nichols, Scottie Pippen and Brian Windhorst discuss the Warriors-Raptors game, their fondest memory of Craig Sager and more. Rachel Nichols, Brian Windhorst, and Chiney Ogwumike discuss if the Clippers can continue their winning ways and more. Rachel Nichols, Brian Windhorst and Chiney Ogwumike discuss the Nuggets win over the Lakers and more. Senior Sneakerhead Nick DePaul also joins the show. Rachel Nichols, Paul Pierce, and Byron Scott discuss if it is too soon to start worrying about the Rockets and more. Rachel Nichols, Kevin Arnovitz and Dave McMenamin discuss if the 76ers Big 3 is enough to win the east, Pop's criticism of Kawhi's leadership and more. Rachel and Richard Jefferson sit down with Kevin Love & Channing Frye. Jorge Sedano, Amin Elhassan and Paul Pierce discuss what's next for the Wizards and more. Jorge Sedano, Marc J. Spears, and Amin Elhassan discuss the Warriors 3-game losing streak, LeBron's 51-point night, and more. Rachel Nichols, Paul Pierce and Amin Elhassan discuss if the Rockets should feel confident after blowing out the Warriors, the KD-Draymond saga and more. Rachel Nichols, Scottie Pippen and Amin Elhassan discuss Draymond's comments about KD, if the Warriors dynasty is in trouble and more. Dave McMenamin also joins the show. Rachel Nichols, Jackie MacMullan and Tracy McGrady discuss Draymond's suspension, what the future holds for the Warriors and more. Rachel Nichols, Jackie MacMullan and Tracy McGrady discuss Jimmy Butler's introductory press conference in Philly and more. Nick Friedell and Nick DePaula also join the show. Rachel Nichols, Jackie MacMullan and Marc Spears discuss Jimmy Butler being traded to Philadelphia, Melo's future in Houston and more. Rachel Nichols, Scottie Pippen, and Richard Jefferson discuss the Bucks blowout win in Oakland and more. Bucks GM Jon Horst also joins the show. Rachel Nichols, Paul Pierce, and Tracy McGrady discuss what the 76ers future holds and more. ESPN fantasy insider Andre Snellings also joins the show. Rachel Nichols, Brian Windhorst and Tracy McGrady discuss the NBA agreeing to televise the all-star draft, how the Wizards can recover from a 2-8 start and more. Rachel Nichols, Tracy McGrady, and Brian Windhorst discuss Russell Westbrook's injury, the Pelicans losing streak, and more. Rachel Nichols, Brian Windhorst and Amin Elhassan discuss the latest drama surrounding the Lakers and more. Former Suns GM Ryan McDonough also joins the show. Rachel Nichols, Scottie Pippen, and Adrian Wojnarowski discuss if Luke Walton is on the hot seat. Amin Elhassan joins the show to talk Celtics and rule changes. Rachel Nichols, Stan Van Gundy, and Chauncey Billups discuss Derrick Rose's 50-point night and more. Woj also joins the show to talk JR Smith's trade request. Rachel Nichols, Brian Windhorst and Tracy McGrady discuss how the Rockets can get through a recent rough patch and more. Plus, Woj also joins the show. Rachel Nichols, Tracy McGrady, Paul Pierce, and Brian Windhorst discuss Klay's 52 point night and more. Rachel Nichols, Kevin Arnovitz and Brian Windhorst discuss the Cavs firing Ty Lue, if LeBron can catch Kareem's scoring record and more. Rachel Nichols, Jorge Sedano, and Paul Pierce discuss OKC's 0-4 start to the season, what needs to change for the Thunder, and more. Rachel Nichols, Paul Pierce, and Tracy McGrady discuss Steph's performance last night, the chances Steph has to win MVP this year, and more. Rachel Nichols, Tracy McGrady and Amin Elhassan discuss Blake's 50-point night, the Rondo-CP3 feud and more. LeBron's agent Rich Paul also joins the show. Rachel Nichols, Amin Elhassan, and Tracy McGrady discuss the Lakers 0-3 start. Jackie MacMullan also joins the show to talk about her conversation with Bob Cousy. Rachel Nichols, Marc Spears and Brian Windhorst discuss the fallout from the Rockets-Lakers fight, OKC's start to the season and more. Rachel Nichols, Tracy McGrady, and Chauncey Billups discuss how dangerous the Raptors can be and more. Zach Lowe also joins the show. Rachel chats with Carmelo in his first sit-down interview since joining the Rockets. Tracy McGrady, Zach Lowe and Woj also join the show to discuss Jimmy Butler and more. Rachel Nichols, Paul Pierce, and Tracy McGrady preview the NBA's opening night. Jackie MacMullan talks to Basketball: A Love Story's creator Dan Klores about the making of the film, his love for the game of basketball, some of their favorite stories from the project and much more. Rachel interviews Anthony Davis. Rachel, Scottie Pippen, and Amin Elhassan react to AD's comments from the interview. Agent and former Bull BJ Armstrong also joins the show. Rachel Nichols, Stan Van Gundy and Amin Elhassan discuss the Jimmy Butler situation in Minnesota. Plus, Rachel talks to Jimmy in an extended interview. Jorge Sedano, Amin Elhassan and Byron Scott discuss the latest reports surrounding Jimmy Butler and more. Plus, Corey Brewer also joins the show. Steve Kerr and Bob Myers chat about the upcoming season with Rachel Nichols and Scottie Pippen. Rachel also sits down with Klay Thompson and Shaun Livingston and much more. Jorge Sedano, Kevin Arnovitz and Nick Friedell discuss the Suns firing GM Ryan McDonough plus a sneak peek at "Basketball: A Love Story" and more. Rachel Nichols, Jorge Sedano, and Byron Scott break down the NBA GM survey, likely MVP candidates this season, and more. Rachel Nichols, Paul Pierce and Kevin Arnovitz discuss LeBron's Staples Center debut on Tuesday and more. Plus, boxer Deontay Wilder also joins the show. In this exclusive excerpt from "Basketball: A Love Story," the icons who changed the game share the first moment the game changed them. By: Jackie MacMullan, Rafe Bartholomew and Dan Klores. Rachel Nichols, Amin Elhassan and Paul Pierce discuss Mo Bamba and Joel Embiid's "rivalry", Markelle Fultz's new jumper, #NBATwitter's newest discovery and more. Rachel Nichols, Stephen Jackson and Amin Elhassan discuss the latest with Lonzo, Tristan Thompson declaring the Cavs are the team to beat in the east and much more NBA news. Rachel Nichols, Stephen Jackson and Amin Elhassan talk about Kevin Durant's latest gripe, LeBron's preseason availability, Shaq-Dwight drama and much more NBA news. Rachel Nichols chats with Celtics stars Kyrie Irving and Gordon Hayward. Rachel, Stephen Jackson, Brian Windhorst, and Amin Elhassan discuss the Rockets and more. Rachel Nichols, Stephen Jackson and Brian Windhorst discuss Monday's media days, if the Celtics are the biggest threat to the Warriors and more. Jorge Sedano, Brian Windhorst and Ryen Russillo react to LeBron's first podium appearance as a Laker, the Jimmy Butler saga in Minnesota and more. 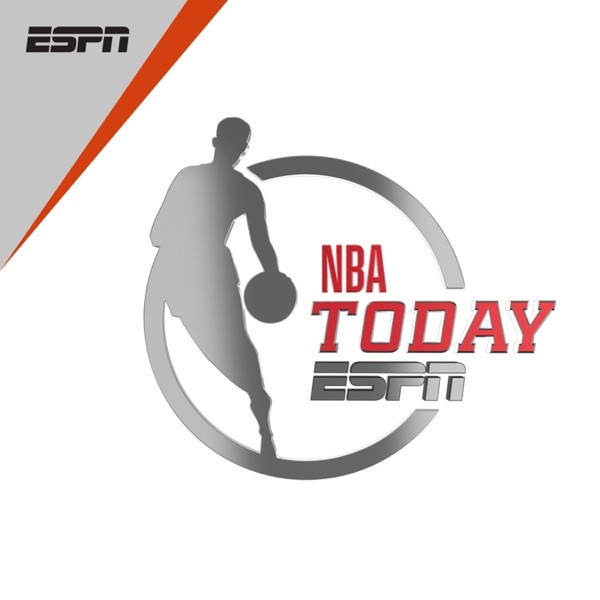 Rachel Nichols and Stephen Jackson are live from Sixers media day as Ben Simmons, Joel Embiid, JJ Redick, and new Sixers GM Elton Brand join the show. Zach Lowe and Jackie MacMullan join Rachel Nichols to discuss the fallout from Jimmy Butler's trade request including the beef between Andrew Wiggins and Stephen Jackson and much more NBA news. Rachel Nichols interviews Mavericks owner Mark Cuban to discuss the investigation into the team's "toxic" work environment. The Jump crew talks about the new book and documentary "Basketball: A Love Story," along with fantasy basketball, Jimmy Butler's future in Minnesota and much more NBA News. Jorge Sedano, Jackie MacMullan and Brian Windhorst discuss D-Wade coming back for one more season, Jimmy Butler's future in Minnesota and more. Rachel Nichols, Paul Pierce and Amin Elhassan discuss realistic expectations for Gordon Hayward this year and more. WNBA MVP and champion Breanna Stewart also joins the show. Rachel Nichols, Paul Pierce and Amin Elhassan discuss what a successful season for the Lakers would be. Clippers' Tobias Harris and Boban Marjanovic also join the show. Rachel Nichols, Marc Spears and Paul Pierce discuss how Russell Westbrook's injury will affect the Thunder, workout SZN for NBA players and more. Paul Pierce, Jorge Sedano and Mike Schmitz join Rachel Nichols to talk about Anthony Davis' future, the "TimberBulls" and much more NBA news. Rachel Nichols, Chiney Ogwumike and Paul Pierce look back at Grant Hill's career as Hill gets inducted into the Hall of Fame tonight. Bobby Marks also joins the show. Rachel Nichols interviews Steve Nash and Ray Allen, who will be inducted into the Hall of Fame on Friday. Ian Begley, Bobby Marks and Chiney Ogwumike also join the show. Rachel Nichols, Amin Elhassan and Fran Fraschilla discuss Sue Bird's clutch game last night, the WNBA's future and more. Plus, Bobby Marks also joins the show. Rachel Nichols, Bobby Marks and Amin Elhassan discuss Luol Deng's buyout and Thibs looking for former Bulls. Plus, Fran Fraschilla also joins the show to talk draft prospects. The Jump Crew breaks down the Rockets-Suns trade, how players are reacting to their 2K ratings and Brian Windhorst goes shoe shopping! The Jump Crew discuss Walt Frazier's comments on KD, David West's retirement and much more NBA news. Cassidy Hubbarth, Nick Friedell and Brian Windhorst discuss Draymond's comments about LeBron and more. Nick DePaula also joins the show to talk about NBA's new shoe rules. The Jump crew discusses Kyrie Irving and Gordon Hayward's status for training camp, Manu's retirement, and the latest on Thibs and Jimmy Butler. Cassidy Hubbarth, Brian Windhorst and Nick Friedell discuss Jimmy Butler eyeing the Lakers and more. Plus, Chris Forsberg joins the show to talk Celtics. Amin Elhassan, Jemele Hill, Frank Isola and Chris Herring discuss the latest NBA topics including Kobe's "endorsement" of LeBron and much more news. Amin Elhassan, Frank Isola and Chris Herring discuss the latest NBA news including Paul George's comments about superteams, Kyrie Irving being inducted into the Sioux tribe and more news. PJ Tucker joins the Jump crew to talk about his shoe collection, offseason pickup games, mental health and much more NBA Topics. Jorge Sedano, Tim McMahon, and Frank Isola discuss the latest NBA news including Raptors newest hire, DSJ fitting with Luka Doncic and much more. Mark your calendars as the NBA drops opening day, Christmas, and MLK Day schedules. Plus, Jonathan Givony stops by to discuss how radical changes to the NCAA shapes the NBA. The Jump covers LeBron James' latest project, and the latest Vegas projections. Plus, Jonathan Givony talks 2019 prospects, and Rob Perez tells an untold Gilbert Arenas story. Amin Elhassan, Ramona Shelburne, Royce Young and Nick DePaula discuss Carmelo's potentially joining the Rockets, the Jazz as a top 5 team and much more NBA News. The Jump examines DeMar DeRozan's side of the story after his recent trade from Toronto to San Antonio. Plus, Anthony Davis and Enes Kanter join the show! Brian Windhorst drops by the Jump set with breaking news! Plus, the Jump crew breaks down the ceiling for the youth of the NBA and unlikely destinations for its vets. The Jump discusses the free agency futures of Carmelo Anthony and Dwyane Wade, as well as a puzzling offseason for the Sacramento Kings. Plus, David Robinson joins the show! The Jump dissects all the drama in Toronto and Dallas, and the latest on the Carmelo Anthony trade. Plus, the Lakers have a 'death lineup' now? This and much, much more! Boogie Cousins is introduced as a Warrior, Marcus Smart re-ups with Boston, & the Jump has you covered. Plus, more on the Kawhi Leonard trade, and LeBron's future after hoops. The Kawhi Leonard trade is official and the Jump has you covered from every angle. Plus, the Jump awards their own ESPYs for the best moments from the NBA season. Raptors in the "driver's seat" for Kawhi? The Jump delves into the 76ers' continued search for a new GM, what's in store for the new LeBron-Lakers partnership and an intriguing development in the Kawhi Leonard saga. The Jump crew discusses LeBron James stopping by summer league to see his new teammates, Kawhi Leonard is officially super max eligible, free agency continues and more. Rachel Nichols, Ramona Shelburne and Fran Fraschilla discuss Isaiah Thomas signing with Denver and more. Plus, 2-time WNBA MVP Candace Parker also joins the show. The Jump crew examines if anyone can take the trophy from the Warriors, did Jerry West take a shot at the Lakers and Nick DePaula dishes on his travels with Klay Thompson in China. Inside the King's decision and how it instantly changed the Lakers, the Cavaliers and the entire NBA, by Ramona Shelburne. The Jump is live from Las Vegas to talk NBA Summer League, free agency, and changes coming to the league. Plus, we've got the full scoop on how LeBron became a Laker. The Jump is live from NBA Summer League in Las Vegas. Plus, the crew discusses Carmelo Anthony's next landing spot, and what's left for free agents in waiting, and much more! The Jump continues their coverage live from the Summer League in Las Vegas. Paul Pierce, Brian Windhorst and Ramona Shelburne join Rachel Nichols to break down the latest free agency updates including Lebron, Rajon Rondo, Julius Randle and much more. Kobe Bryant joins Rachel Nichols to talk about LeBron heading to LA. Amin Elhassan, Brian Windhorst, Lee Jenkins and Doug Kezirian give their thoughts about LeBron's signing. The Jump reacts to the latest free agency news, including Paul George coming back to OKC. LeBron is officially a free agent and the Jump has the scoop on The Decision 3.0. Plus, rumors of bold trades and big paydays swirl across the league, and much, much more. The Jump gets cooking as the Summer of LeBron heats up, and the stakes for Kawhi Leonard get even higher. Plus, plots thicken league-wide as free agency looms near. Rachel Nichols, Zach Lowe and Kevin Arnovitz discuss the upcoming free agency frenzy, how much pressure there is on the Lakers to sign Kawhi and more. The Jump recaps the NBA Awards, and discusses the NBA's new debt limit. Plus, Rob Perez sits down to discuss free agency and World Wide Wob's #NBATwitter contributions. The Jump talks NBA Awards and hits on the latest in the summer of LeBron James and Kawhi Leonard. Plus, Mark Kriegel joins the show to give an insider's perspective on Trae Young. Rachel Nichols, Ramona Shelburne and Kevin Arnovitz discuss whether the Spurs can make amends with Kawhi, if Luka Doncic is a top pick and how Dwight Howard fits in Brooklyn. Amin Elhassan, Jorge Sedano, and Byron Scott discuss the deceptive smokescreens and rumors leading up to this week's NBA Draft. Plus, Baron Davis joins the show. Amin Elhassan hosts alongside Kevin Arnovitz and Dahntay Jones to talk the latest on Kawhi and the NBA Draft. Plus, Gary Payton joins to talk BIG3, and much, much more.